RBR has released the RBRduet³ T.ODO optical dissolved oxygen logger. The device is a compact and rugged self-contained logger that can be used for many applications down to 6000m. The optical oxygen sensor provides high stability for very long deployments where accurate dissolved oxygen concentration and saturation measurements are critical. The marine thermistor provides high accuracy temperature measurements. The fast version has a 1s time constant for dissolved oxygen measurements on profiling or moving platforms. The slow version has a protective layer over the optical foil to allow it to be wiped of biofouling for long-term moored applications. 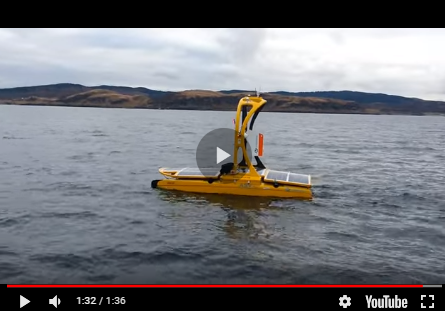 The compact size and self-logging ability is versatile and enables DO measurements in a variety of applications including oceanographic moorings, fishery studies, benthic pods, and non-integrated attachments on AUVs, glides, and profiling floats. "Based on broad customer requests for a compact logging optical dissolved oxygen sensor, we are very pleased to release the RBRduet³ T.ODO compact logger," said Eric Siegel, sales director. "The product is building on the past two years of customer success in using hundreds of RBR-developed T.ODO sensors for integrated measurements on CTDs, profiling floats, ASVs, and bottom landers. The self-contained capability will enable more high-quality dissolved oxygen and temperature measurements for a wide range of new oceanographic applications and discoveries."